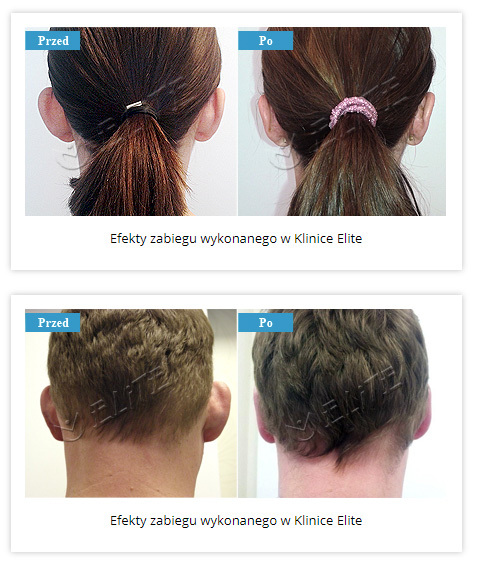 Otoplasty allows improving the appearance of ear mainly by adjusting the auricles. Patients who are perfect candidates for surgery have auricles that stick out the skull. Otoplasty is a surgery that reinstates the ears to their proper anatomical structure and gives them the desired effect. In most cases, it is possible to achieve aesthetic goals and meet the expectations of the patient. overgrown lobule of the auricle. The surgery is performed under local anesthesia (in children under 14 years of age it is conducted under general anesthesia). The time of giving of anesthesia can be felt but the further stages of the surgery usually do not cause any discomfort. At the backside of lobule of the auricle the cut is made. The kind of the cut and its length depend on the origin of the ear defect. Then the new shape of ear is created. After that the stiches are put as well as elastic bandage that protects the ear against injury and against bending them forward. A natural phenomenon is the occurrence of swelling and bruising. These changes usually disappear after a maximum of two weeks. For the first few days it is necessary to wear a special tourniquet. The patient may return to daily activities on the next day, while full physical activity (practicing sports) is possible only when the wounds are healed. Stitches are removed after one week. are a contraindication to the surgery.